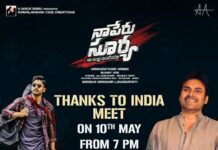 Vakknatham Vamsi’s first directorial venture Naa Peru Surya Naa Illu India starring Stylish Star Allu Arjun and Anu Emmanuel is progressing at brisk pace and it is on the verge of completion. Today the makers have come up with the much-hyped Poster Impact. Stylish star is seen in the macho avatar. 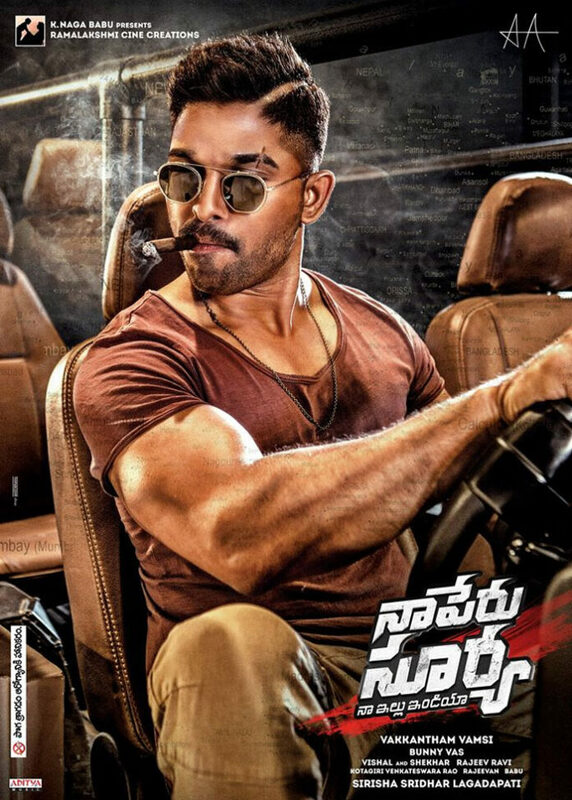 In army cut hairstyle and sunglasses he looks a stylish army man and Allu Arjun Smoking Style Leaves Expectations. The film is being produced by Lagadapati Sridhar, Naga Babu, and Bunny Vass. Apart from the lead pair, the film has other stars like Arjun, Boman Irani, Nadhiya, Rao Ramesh and Sarath Kapoor in supporting role. The film’s music is by Bollywood duo Vishal and Shekhar. The sources say that an action sequence part of the interval block is going to be the major highlight of the film. 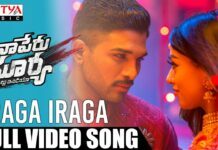 The Naa Peru Surya scene was recently shot at Nanakramguda in a massive tunnel set erected in a private studio. This action episode will surprise the audience before the interval. The film is scheduled to hit the theaters on 4th May.